The new Avolites Tiger Touch represents The Definitive Hybrid console. A hybrid of powerful Diamond 4 functionality coupled with the friendly Pearl interface unquestionably the industries favourite! A hybrid of fast, accessible, hands on control working in conjunction with the intuitive touch screen. 10 Macro Buttons User programmable with any programmable sequence. 20 Submasters – Capable of controlling cues, cue lists and chases. Ethernet output Artnet protocol fully supported and enabling 12 full speed DMX Universes. 4 x DMX Output Ports Full speed, individually opto-isolated and floating Outputs giving 2,048 DMX Channels. Video support – Media Server Support utilizing Avolites Active Fixtures in conjunction with the new, cross platform, Media Server protocol CITP where Clips and Live Previews are presented graphically on the console screen. MIDI The console offers MIDI Time Code Control. Sequences can be synchronised to Timecode for perfect cueing. 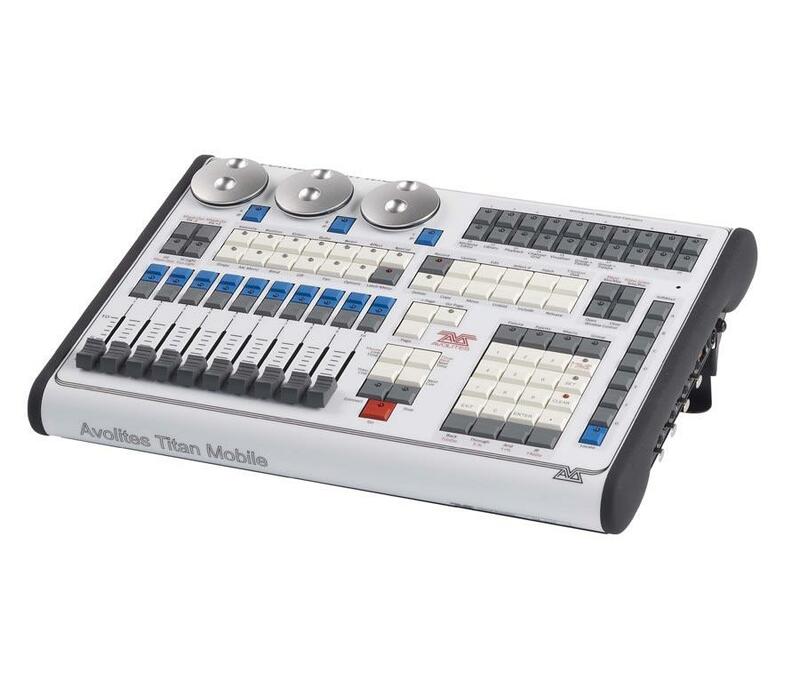 Playback buttons or faders can also be remotely activated by MIDI. Audio Input – Analogue stero line-level input via 2.5 mm mini jack. Use Bass, Mid or Treble to sound-to-light trigger any or all of the consoles playbacks. Console monitor The external VGA screen mounts to the console. The heavy duty, adjustable VESA Mount Bracket is available from Avolites. Touch Screen Responsive – wide screen touch interface. Utilising Mobile Computing Grade 15.4 inch, High Contrast, Bright LCD Display coupled with Ultra-accurate, 5 wire technology resistive Touch Sensor. Rear I/O ports – PS/2 Keyboard/Mouse, LPT, VGA, LAN, USB2.0, Audio, SPDIF, IEEE 1394.